After WWII the Russians made a good effort to become Egypt's Armorer. This included planes, tanks, and some small arms including the Maadi AKM, made on Russian tooling. 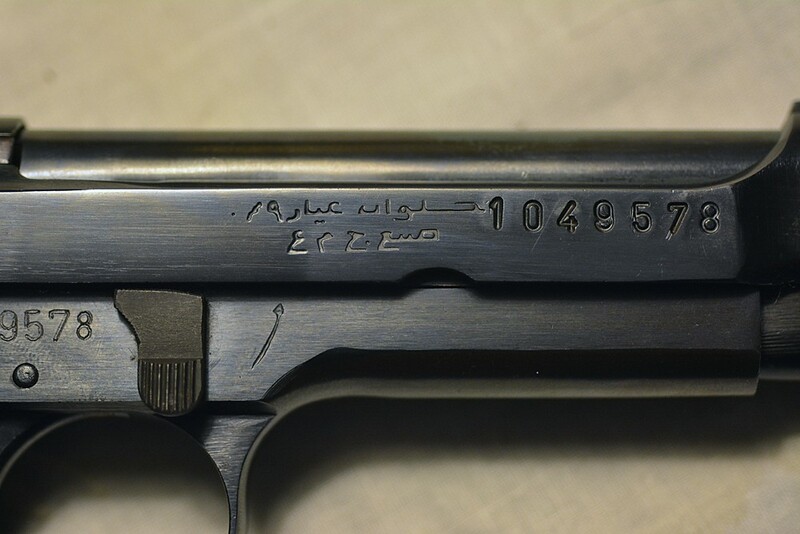 For pistols Egypt connected with Beretta; and then made the Helwan, a copy of Beretta's Model 1951, chambered in 9MM. 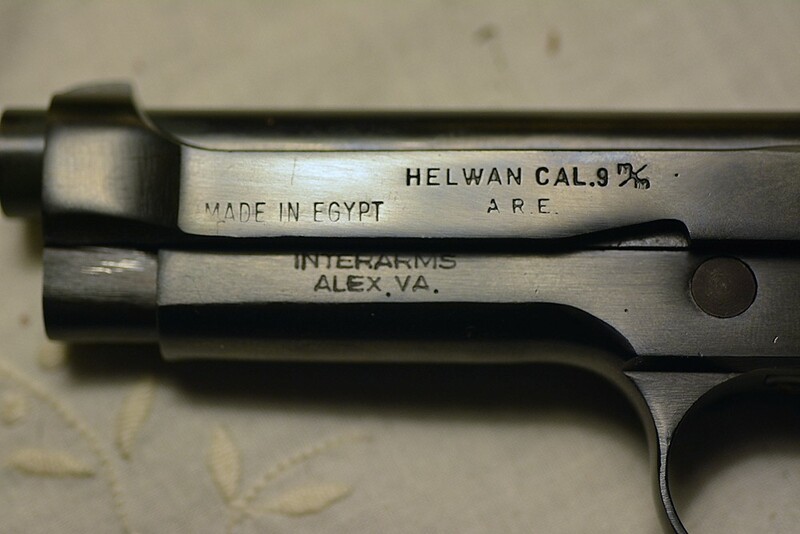 Although not as strong as the Beretta the Helwan is a fairly faithful copy. It was imported into the US in several variations; mine, one of the better quality imports, was imported by Interarms in Alexandria, VA. This version is marked in Arabic and English; the slide says Made in Egypt; and A. R. E. for the Arabic Republic of Egypt. I haven't shot it yet but will make a range report after I do. 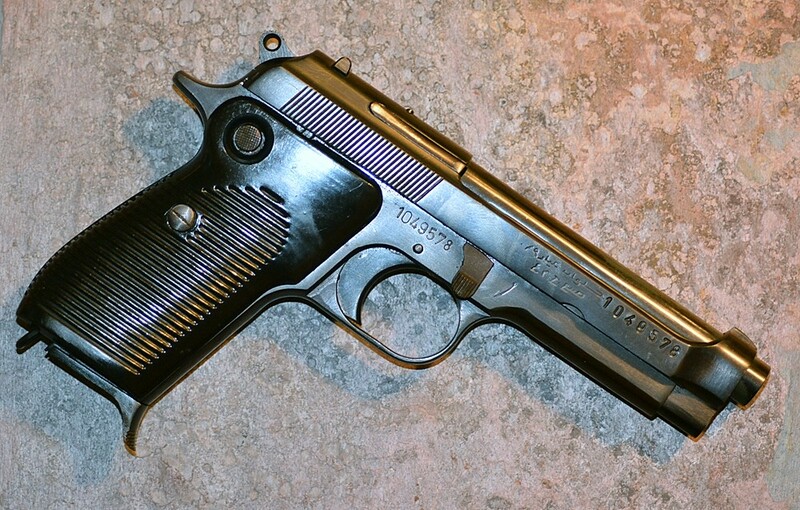 Re: Egyptian Beretta Model 1951 "Clone"
Very cool vintage pistol. Looking forward to the range report. I really like the markings..In just its handling, how would you compare it to an original Berretta??? I have an original M1951 that was used by the Israelis. 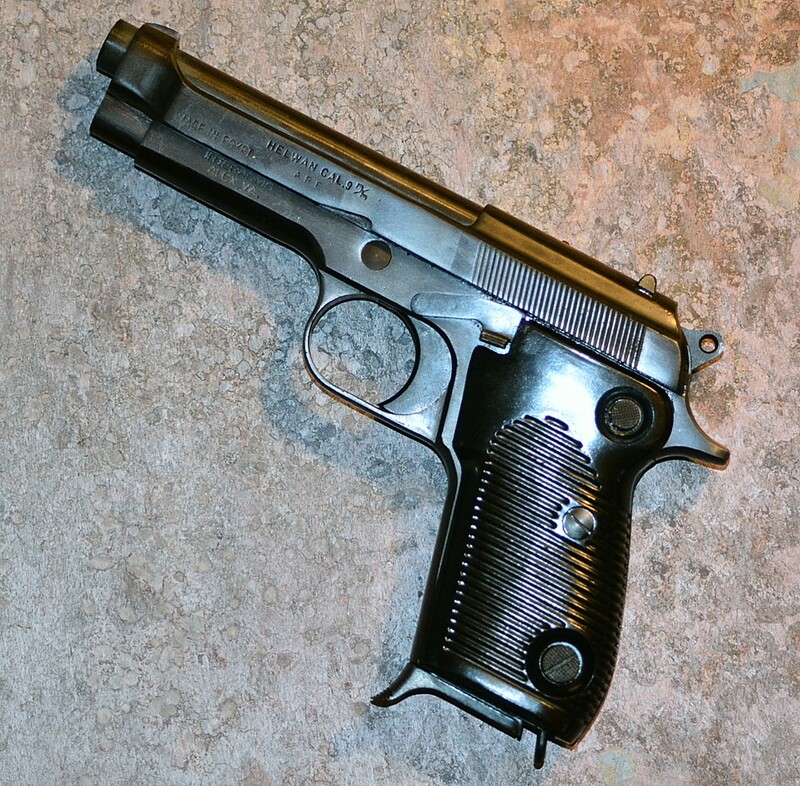 It has four grip screws that I have not seen on any other Beretta 1951.